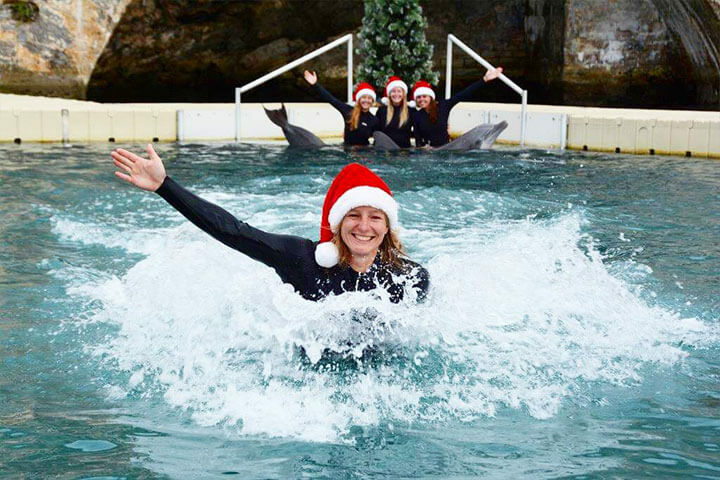 Home » Uncategorized » It’s beginning to look a-lot like Christmas at Dolphin Quest! 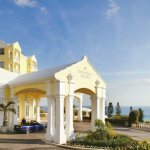 This year, a visit to Dolphin Quest at the National Museum of Bermuda in the Royal Naval Dockyard during the holidays is a must. 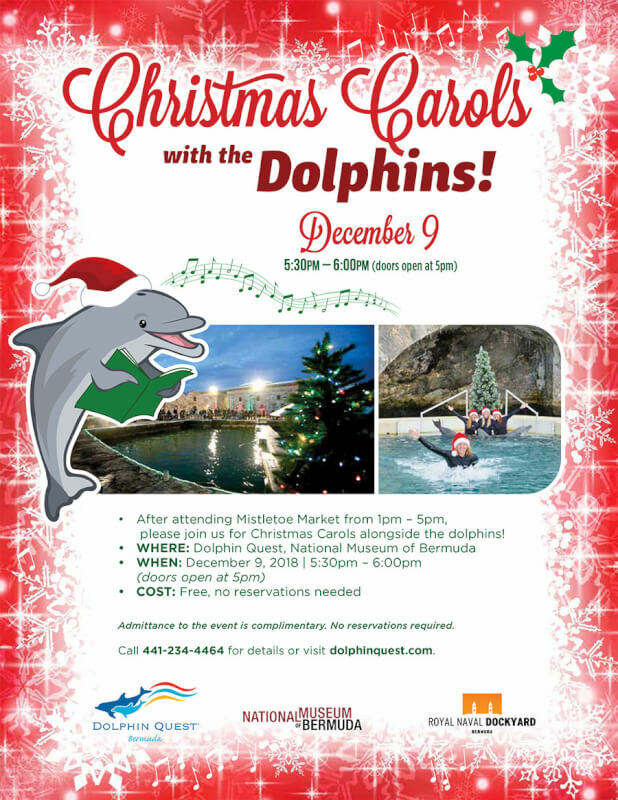 From carolling with the dolphins on Sunday December 9th (more below) to the premier experience package offered this winter click here and so many ways you can get to know the dolphins in-between – the whole family is in for a real treat! To book a Dolphin Interaction click here or how about an Underwater Exploration click here. 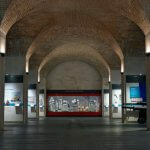 For a Full List of Activities available click here. Enjoy the shimmering of the stars and the joyous sounds of the season as dolphins dance and delight. Dolphin Quest Bermuda invites you to join us with your family and friends for this special night under the stars. 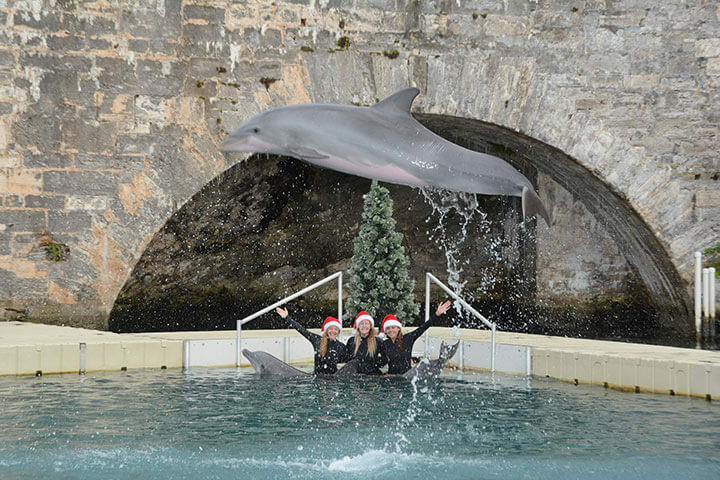 Start the celebration early and attend the festive Mistletoe Market from 1pm – 5pm followed by Christmas Carols alongside the dolphins from 5:30pm – 6pm. Admittance to the event is complimentary. No reservations required. 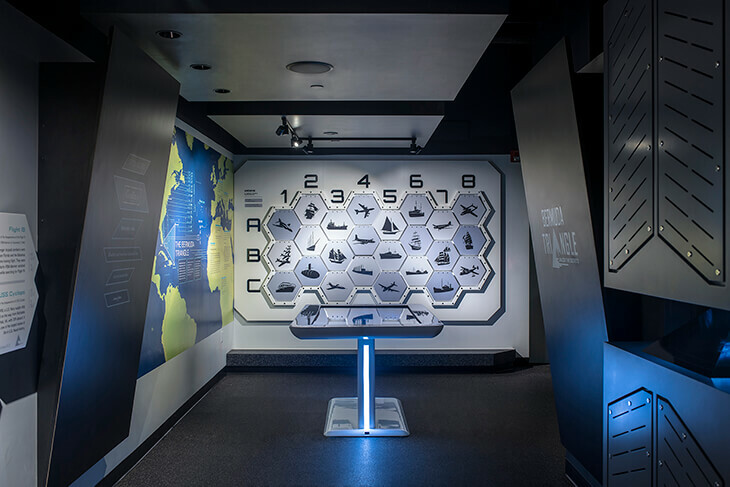 Dolphin Quest is located at the National Museum of Bermuda in the Royal Naval Dockyard. You will create a magical multi-sensory connection when you touch a dolphin that will touch your heart. You’ll share and remember your dolphin moments and your biggest and best smiles ever with our fantastic keepsake photos. Visit the Dolphin Deck Gift Shop onsite for the coolest dolphin shirts, hats, toys, books and souvenirs.